Does an employer have to give lunch breaks, coffee breaks, or rest periods? No. There is no statute that requires an employer to provide such breaks; however, deductions cannot be made from wages if less than 30 minutes is allowed for the breaks. Can an employer require an employee to work more than 8 hours a day and/or more than 40 hours a week? Yes. If an employee is paid by the hour, an employer can require the employee to work overtime but must pay the rate of time and a half the regular rate of the employee’s pay for any time over 40 hours in a seven-day period. Q: What is the rule as of 7/10/18? A: According to Dianne Juffras in a recent Coates’ Canons blog post the old rules are the current rule. Under the Fair Labor Standards Act, employees are entitled to overtime premium pay of one-and-one-half times their regular rate of pay after working 40 hours in a week, unless an exemption applies. If an exemption applies, an employee is said to be “exempt” and is not entitled to overtime pay no matter how many hours he or she works in a week. An exemption applies if the employee is salaried and the position meets the requirements of the executive duties test, the administrative duties test, or the professional duties test. But even if the employee is salaried and the position satisfies one of the three duties tests, the exemption does not apply if the employee is paid less than the current threshold amount or $455 per week, or $23,660 on an annualized basis. Such a low-paid, salaried employee is entitled to overtime pay after 40 hours. For an explanation of the salary basis test, see here. For discussion of the executive duties test, see here, the administrative duties test, see here and here, and the professional duties tests, see here and here. Q: What is the latest status on the rule? A: The federal district court for the Eastern District of Texas granted an emergency request to put a hold on the December 1, 2016, effective date for the new federal overtime rule, until it can rule on two challenges to the rule itself. The court said today that the plaintiffs, in this case, 21 state attorneys general challenging the overtime rule, “demonstrated a substantial likelihood of success” on their case’s merits regarding the unlawfulness of the DOL’s final rule. The court’s action stops the rule nationwide. The NRA hailed the ruling. The injunction will remain in effect until a decision is made in the case. Learn more here. Q: What should I do during the injunction? A: While this is a positive step forward, today’s decision does not delay the overtime rule indefinitely. 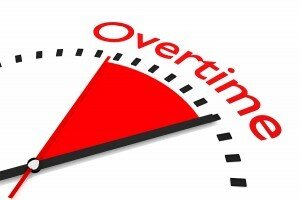 Additional legal actions or a final decision by the Court in favor of the Department of Labor could result in the overtime rule taking effect. Therefore, NRA reminds members that it is important to continue to take the necessary steps to be ready to comply. Information and resources can be found at Restaurant.org/overtime. Q: I need a comprehensive overview of the Final Rule. Where can I go? A: DOL provided final rule guidance and a significant list of resources and links here. Q: I need something smaller with a quicker summary. Where can I go? A: National Restaurant Association provides a three page printable summary here. Q: What are the options for employers? A: Learn more about the options below by visiting our blogpost, Confused about Overtime Rules? Q: Does NRA have a webinar to help me get started so I can understand these rules? A: The National Restaurant Association presented a webinar in late May providing initial analysis of the new overtime rules. You can access a recording of the webinar here. Click here for the webinar slides. Q: Does DOL have a compliance guide? A: Yes. The US Department of Labor issued a Small Business Compliance Guide. Q: What are the recordkeeping requirements? A: Link to Fact Sheet #21: Recordkeeping Requirements under the Fair Labor Standards Act (FLSA) from the DOL. Q: What other blogposts or articles do you have? A: You can always search our website for any topic. Click here for a list of blogposts connected to overtime. Have more questions? Submit your question here and we will add it to our FAQ’s! Dateline July 2015: Overtime rules and overtime pay has a huge effect on your bottom line. This past Tuesday, the Department of Labor released proposed rules that will govern how your restaurant addresses overtime. The proposed rules would greatly impact the labor costs of restaurant operators– especially with regards to salaried managers who may work over 40 hours. Take action by contacting the DOL through the summary link below. Comments will be taken until 9/4/15, so make your voice heard today!